One downside to being a speaker for the retail industry is that there aren’t a lot of speaking opportunities in December. (It is also an upside in that I had a lot more time around the holidays, but I digress.) With all that free time, I took on the project of replacing the cabinets in my friend’s kitchen. 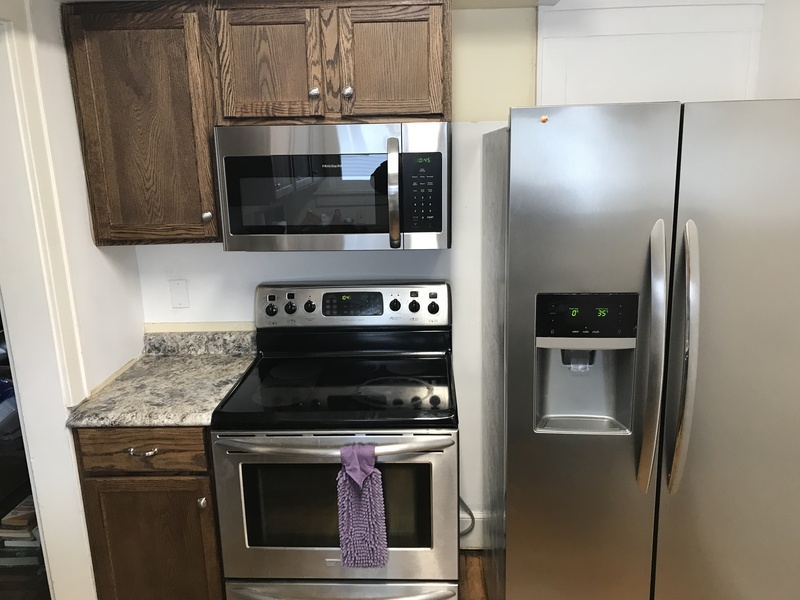 He had a broken cabinet, plus wanted to do some simple remodeling and moving of appliances. It was a fun project. One day shortly after finishing that project, I happened to be walking through the cabinet section at Lowe’s with my girlfriend. We were talking about some of the cabinets we might have chosen for the project. The annoying thing is that I often asked that same question of customers at Toy House. I often got the same response. Until I learned a better way. We all know not to ask a customer, “Can I help you?” Now asking the customer, “Are you finding everything okay?” is the new no-no. Why? Because the knee-jerk response kills the conversation with the finality of a Clint Eastwood Smith & Wesson. There are a whole bunch of other ways the salesperson could have opened the conversation. “Are you admiring that set for the color or the style?” I would have answered color. My girlfriend would have answered style. And we would be talking. “Have you seen the new soft-close drawers on that unit? You have to try it.” I would have opened a drawer and he would have had the opening (both figurative and literal) to talk to me about features and benefits. “You’re looking at my favorite style. I’ve been dreaming of remodeling our kitchen with those. What style would you put in your dream kitchen?” We probably would have talked for several minutes. “Hi guys. I’m Carl, your kitchen remodel expert.” I would have responded, “Hi, Carl.” I might have even taken his card. The point here is that there are many ways Carl could have opened a conversation that might have led to a sale. Big sales like kitchen cabinets rarely just happen out of the blue. They take time and effort, and a relationship you build with the customer first. “Are you finding everything okay?” implies that the customer is in control, you don’t really want to help unless absolutely necessary, and a relationship isn’t even on the salesperson’s mind. The customer really only has to give you one of two responses—Yes or No. If she says Yes, you’re out of the game before you even got in. If she says No, there still is no guarantee she’s going to ask for your help because she still doesn’t know or trust you. Half the time she will lie and tell you Yes when she means No just to not have to deal with you. The next time you and your staff get together for training, work on alternate openings to “Are you finding everything okay?” and strike that phrase from your vocabulary. It will help you convert more customers into relationships which will lead to more sales. PS Sure, I wasn’t in the market for cabinets that night. The salesman didn’t know that. And with that opening he was never going to find out. The opening of the relationship is not only crucial to making today’s sale, it also sets the foundation for a long-term relationship and customer loyalty. For more ways to meet and greet your customers, check out the FREE eBook The Meet-and-Greet: Building a Long-Term Relationship with Your Customers.